OLD PARKED CARS. : 1963 Pontiac Grand Prix. I don't know what the new tattered expensive clothes trend is, but this car is pulling that look off so good. Props to whoever owns that! As long as you don't repaint it. Such an amazing looking car. 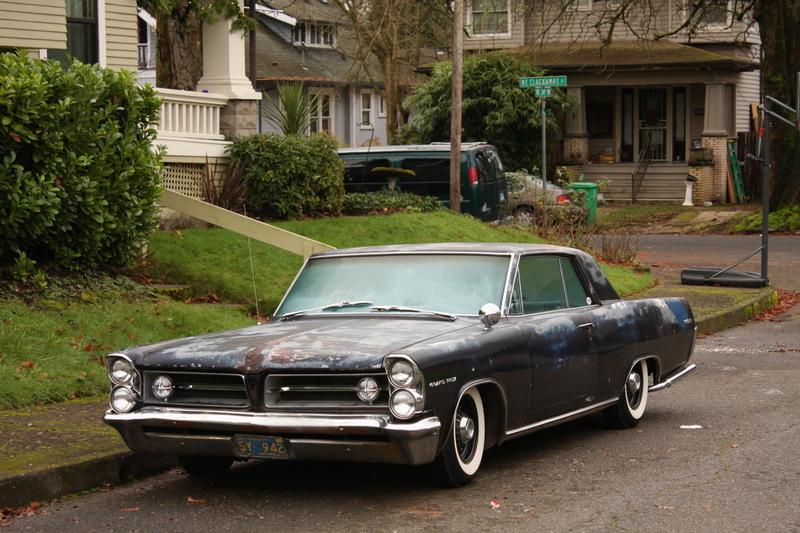 Definitely one of the best looking American cars of the sixties. Love the patina and whitewalls on this one. And that little mirror. 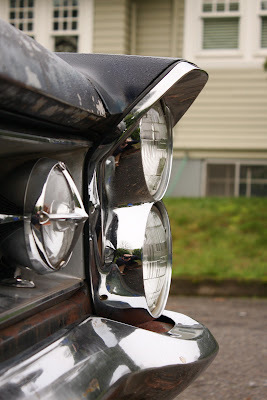 And that pointed light in the grill. And the stance. Great car. This is bloody awesome. The golden age of Pontiac. 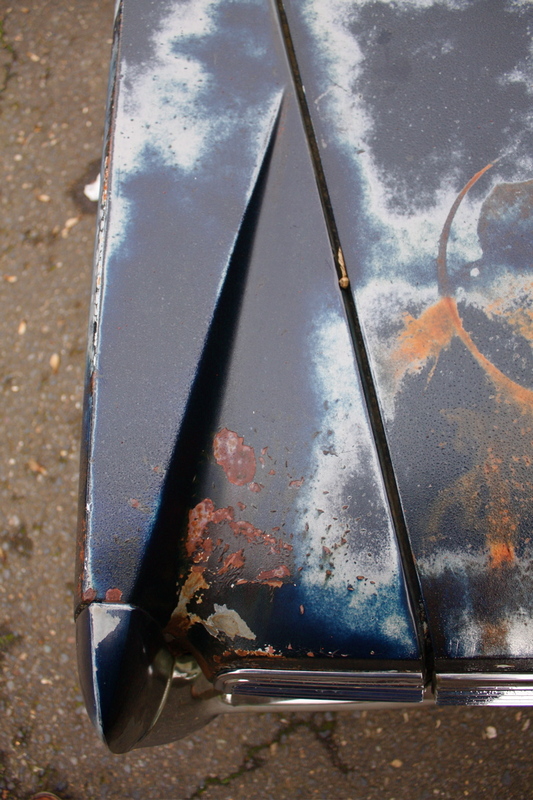 Great patina, great stance. This thing is looking really cool. 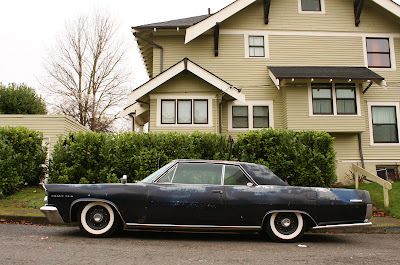 The heavy patina with the clean whitewalls looks really cool. The shape of this thing is really sweet, too. It would look cool even if it were repainted. I like this thing and it really is able to pull off, almost to an archetypical level, the "tattered expensive clothes" look (I've never heard that expression before). Whatever - it's working. Interesting, isn't it, that this look requires a very careful level of patina - just enough, and it has to be the right kind. 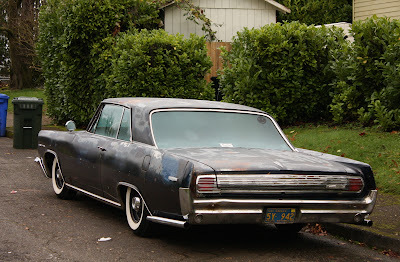 And there are certain kinds of patina that would just make it look like a junky old car. That is one badass GP. You saw no hovering saucer. We were never here.